Monarch Butterfly numbers have rapidly declining over the past ten years with a dramatic decrease over the past three years. The widespread planting of herbicide tolerant crops, intensive farming without the use of flower and prairie borders and the widespread use of insecticides and herbicides have led to a rapid loss of habitat. Monarchs and pollinators need our help. Each fall, hundreds of millions of monarch butterflies migrate from the US and Canada to overwinter in Mexico and California where they wait out the winter until they return in the spring. This migration is truly one of the world’s greatest natural wonders, yet it is threatened by habitat loss in Mexico, North America and increased use of pesticides. The adult monarch butterfly mates and reproduces frequently. They live from two – five weeks. 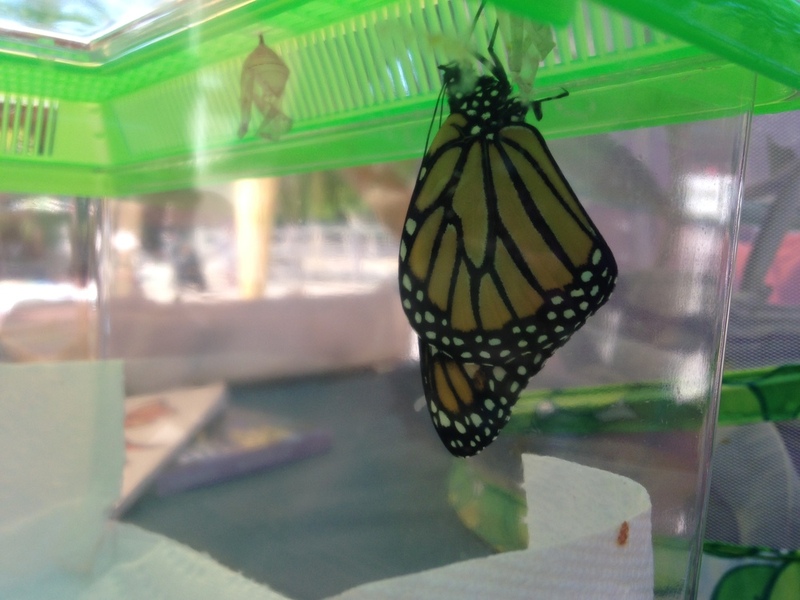 The final generation of the summer monarch is a larger monarch that will migrate to overwinter in Southern California or Mexico. These monarchs live eight to nine months. 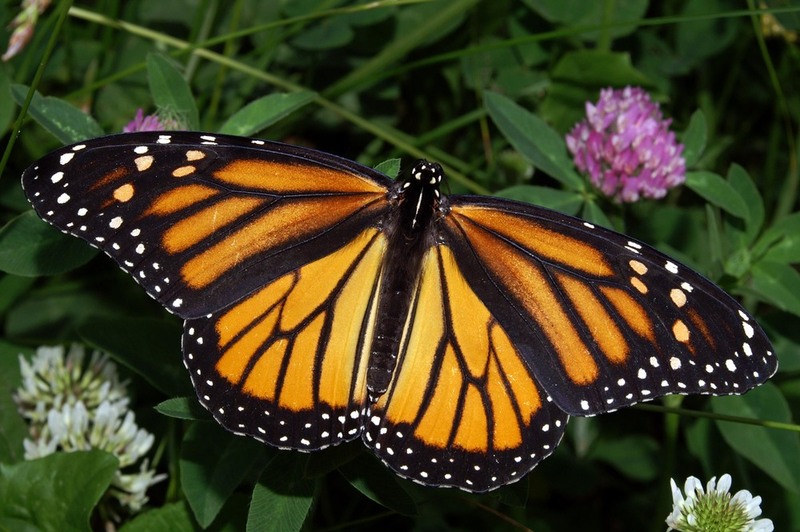 Monarchs obtain nectar from flowers that is 20% sugar that sustains them through this time. They use their vision to find flowers and the taste receptors on their feet to find the nectar. Why is this on my gardening website mainly devoted to vegetable gardening you ask? The monarchs are in trouble as are many other native pollinators. The use on genetically altered seed that allows plants to withstand an onslaught of chemicals and pesticides, the planting of mono crops or large sections of single plant crops like soybeans without a flower perimeter and the increasing use of pesticides in the home lawn and garden, has resulted in a dramatic decrease in the population of monarch butterflies. You can grow a “Monarch Way Station” or Habitat in home gardens, schools, businesses, parks and along roadsides. Grow milkweed and flowers that are nectar and food sources for butterflies and other beneficial insects. Monarchs need milkweed throughout the spring and summer for food and for a safe place to lay their eggs. It most cases it is beneficial to plant milkweed starts from a nursery that supplies milkweed for your particular region as monarchs feed on different types of milkweed based on where they are. This Monarch Watch website http://monarchwatch.org/milkweed/market/ is a good place to start when looking for milkweed. Growing milkweed from seed can be difficult and requires preparation with exposing the seed to cold months before it is planted. It is best to buy good milkweed plugs. Go on an egg hunt! 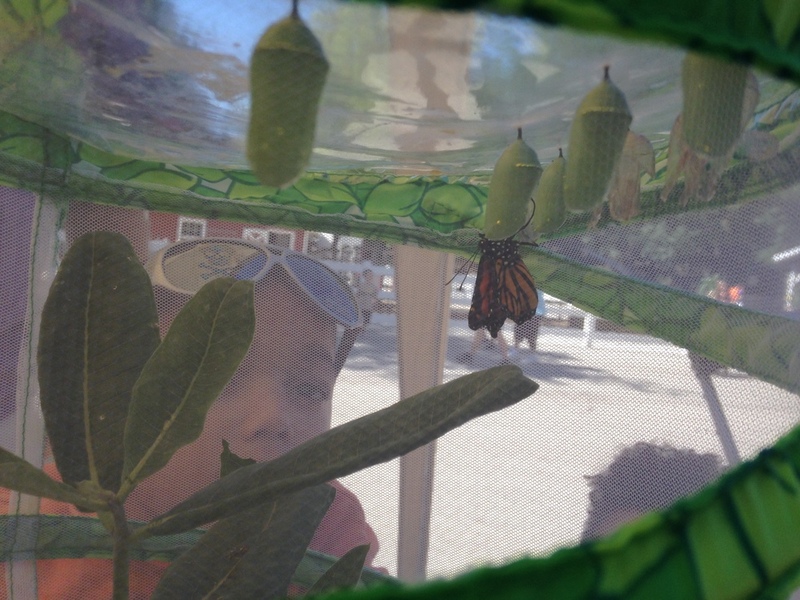 The other important thing that you can do is go on a monarch egg hunt, collect the eggs or the caterpillar if you are lucky enough to find one and protect it in a butterfly cage until it is a fully grow butterfly. By doing this and then releasing it, you can increase its rate of survival from 10% - 80%! The monarch butterfly is one of the most mysterious phenomenons in nature. All pollinators are threatened and it is important to plant a garden that attracts all beneficial insects, pollinators and butterflies. This past summer I planted two large butterfly garden containers off of the Master Gardener list. I found in the curry plant butterfly eggs, brought them inside in a butterfly habitat, provided a lot of fresh dill and was able to release two beautiful Swallowtail Butterflies. See photos/videos below. Please see our selection of fine mesh butterfly habitats on our products page. 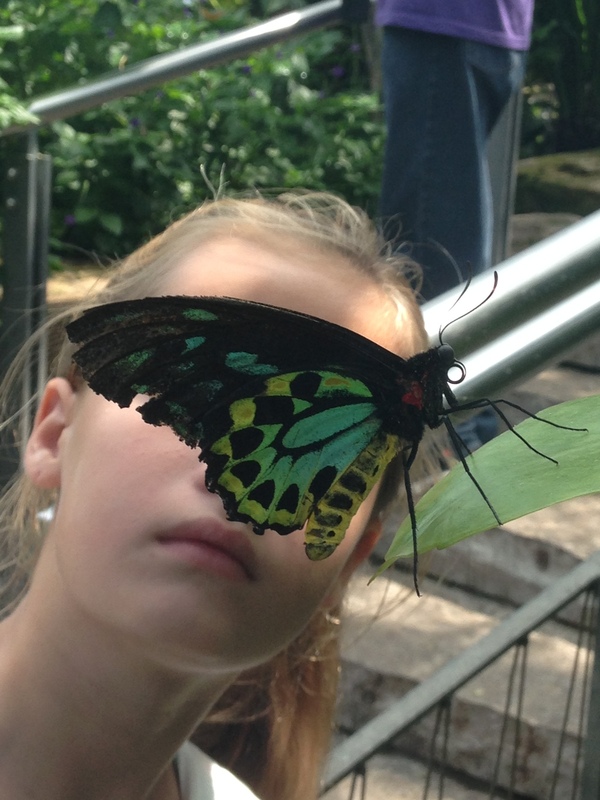 Full Video of first flight of Butterfly from our very own Habitat!